I have been bombarded by the following terms and many more (Student Learning Target, Professional Growth Plan, Formal Observation, Informal Observation, etc.) for the past two years and I am trying to use my wits and resources to find ways to make this happen to the satisfaction of my evaluators, students, parents and lastly, myself. 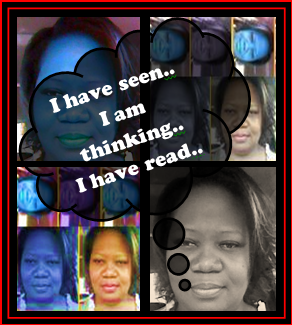 I am creating a standard operating manual when dealing with text be it poetry, nonfiction or prose. Below are the questions that I need my students to be able to answer and discuss as they analyze poetry. Whether these questions are answered as a whole class discussion, small group activity or an individual assignment, these questions can function as a framework to be used as a trigger to get my students to examine the language, images and theme of assigned poems. Who is the speaker in the poem? Who is the audience? What is the setting of the poem? What is the author’s purpose in creating the poem? Identify the poem’s theme in a single sentence. Identify and explain the poem’s tone. Identify and explain all allusions found within the poem. Do they share a common/contrasting idea? Describe the structure of the poem? What is the meter and form? Note the metaphors, similes and personification in the poem. Discuss their effects. 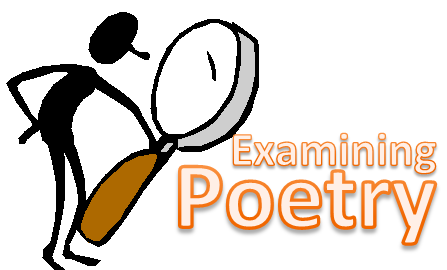 Discuss examples of paradox, overstatement or understatement that might occur in the poem. Are the poem’s structure and content related? What is the tone of the poem? How is it achieved? Discuss the diction used in the poem. Identify and explain significance of images within the poem. 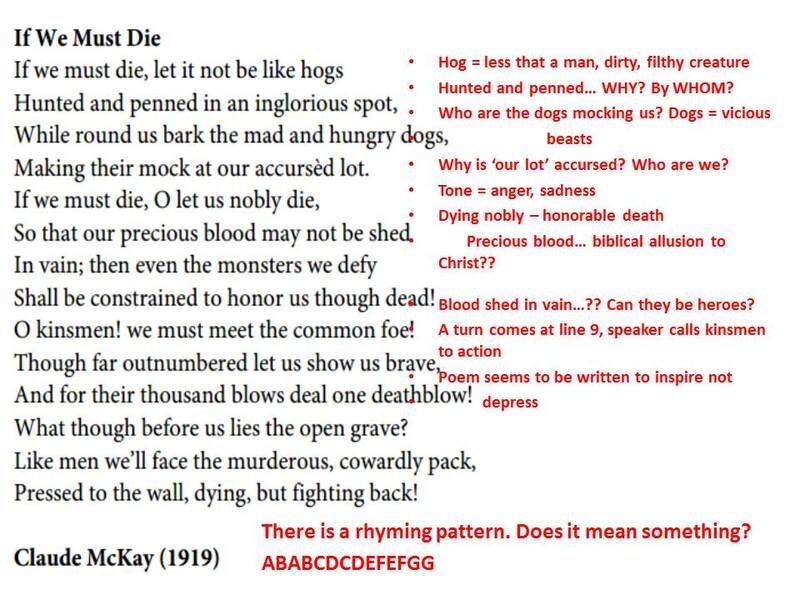 Identify and explain significance of symbols used within the poem. I want us to get into the habit of reading poetry and mapping it by marking it up and identifying the answers to the above questions. Talking to the text, or mapping the text, is the only way to get my students to get more involved in the poetry so that they can create in depth (or partially deep) analyses of the poems we read. Below is a picture of what I want them to do with our poems. and end with a much, much longer list of poetic terms. My current plan is not so different from what I have been doing in the past but I want to be sure that the consistency is there so that they always think about the questions (at least some of them) when asked to analyze poetry. Posted on June 26, 2013 by Ms. B.. This entry was posted in Curriculum, Literacy Resources, My Class, Poetry. Bookmark the permalink. « Look for flags when reading closely.